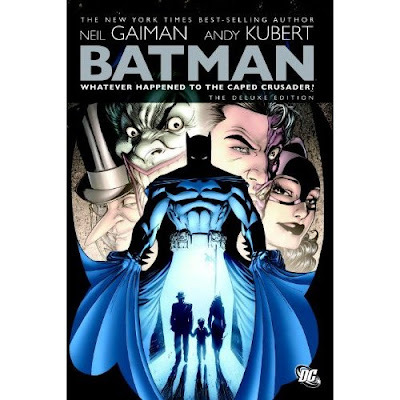 Mr Ripleys Enchanted Books: Neil Gaiman & Andy Kubert - Whatever Happened To The Caped Crusader? Neil Gaiman & Andy Kubert - Whatever Happened To The Caped Crusader? I was never a particularly big fan of comics and graphic novels, as a result I always stayed away from this format. But over the past year I have been drawn towards this media and have finally been persuaded by the illustrative lure expressing a story within its pages. Anyway to cut a long story short I was up in Edinburgh on the day of the Neil Gaiman event, where I was drawn to an area of the festival bookshop which had a nice collection of his books (some of the more popular titles and some not). After some time of perusing the books I got my hands on a nice Deluxe Edition (of the above title) and started to read this on my train journey back home. Unfortunately it remained unsigned, due to the incredibly long queue which took over three hours, by which time I had a train to catch! But hats off to Neil who persevered to sign for that amount of time. 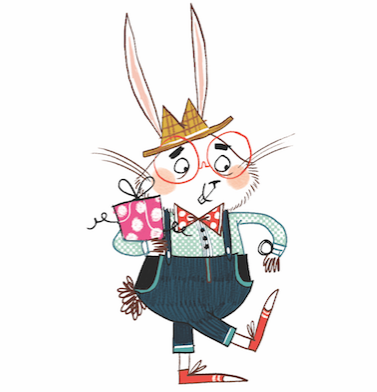 The story is very good, I got into the spirit of the characters of the book really quickly and enjoyed every page. It actually left me feeling that Batman was an under-rated super hero! The images are particularly striking and work really well with the text. They capture your interest and allow you to delve deeper into the intended vision rather than the reader elaborating on a basic concept. A recommended read and a great book to have in any book collection. Gotham City is plagued with crime and corruption in places high and low, but one man has taken a stand against evil of all forms: the dark avenger known as Batman. But now the Dark Knight is dead; apparently fallen at the hands of dying god Darkseid. "Whatever Happened to the Caped Crusader" is a captivating and mysterious tale, the likes of which Batman and friends have never experienced before. Delving into the realms of life, death and the afterlife, no stone is left unturned in this exploration of every facet and era of Bruce Wayne's life. Neil Gaiman, the multiple award-winning author of "Sandman" and "Coraline", is joined by legendary artist Andy Kubert ("Batman and Son") for the ultimate Batman story! Neil Gaiman is the most critically acclaimed comics writer alive and is the author of numerous bestselling books and graphic novels, winning countless awards. His best known work in comics is the epic Sandman series. Andy Kubert has long been one of comics' greatest talents, with work including both X-Men and Ultimate X-Men, Adam Strange, Captain America, 1602 and much more!